Hundreds of emails flood peoples’ inboxes. In fact, nearly 105 billion emails are sent every day – making it challenging for your emails to not only stand out, but also stay out of your recipients’ trash folders. Your recipients will be more likely to open emails that come from an actual person, rather than from a company. According to Campaign Monitor, 68% of Americans base their decision to open an email on the ‘From’ name. Therefore, sending an email from an individual at your bank is the first step to humanize the interaction and boost your open rates. To humanize the emails, send them from individual email accounts, as opposed to the standard company email address. You can also add an individual signature at the bottom of every email to show that your email comes from an actual person on your team. By sending emails from individuals, you will give subscribers a real point of contact at your bank and make your email more authentic. Addressing each recipient is just as important as sending emails from an actual individual. Automated emails should use personalization tokens that make them feel personable. For instance, start the email with “Dear (Name)” rather than “Dear Prospect.” This will make your recipient feel more attached to your email and garner their attention to read further. Subject lines are another valuable way to personalize your emails. A catchy subject line that addresses your recipients’ financial needs and behaviors will grab their attention and pique their interest. In fact, emails with personalized subject lines are 26% more likely to be opened. Therefore, be creative and informative without giving them too much context of your email. For example, a subject line, such as “Our secrets on how to invest for your future,” gives a specific topic with a clear solution that your team is willing to help them with. Beyond names and subject lines, segment your distribution list to target your email marketing efforts. Rather than sending the same email to everyone in your database, send unique emails to segmented lists of people. 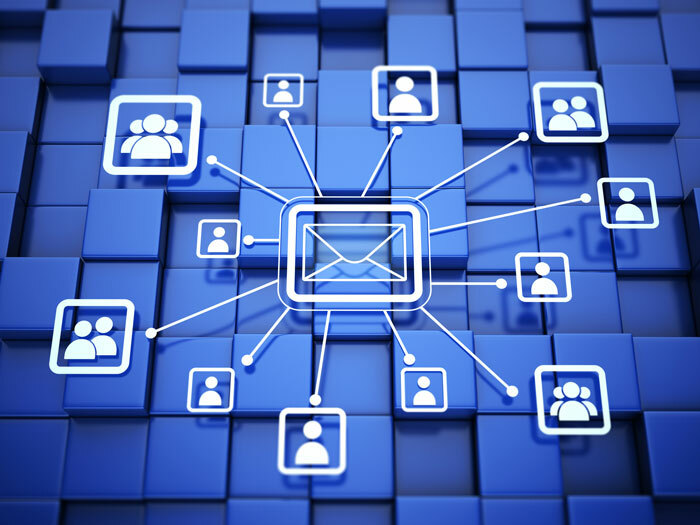 Marketers have noted a 760% increase in revenue from segmented email campaigns. Therefore, categorize your lists based on your recipients’ various financial needs and behaviors. For instance, if a mailing list is reaching their retirement phase, send them emails that introduce your retirement planning services. By segmenting your lists, recipients will see the value you provide, and be more apt to open it knowing your team cares about where they are in their customer journey. While relevant and promotional content is important to build rapport and leverage your relationships, it shouldn’t be the only type of email they receive from your bank. You don’t want your recipients to think you are always asking them to complete an action. Therefore, send emails that include a compliment or side note that mentions your appreciation for them. For instance, send your prospective clients an exclusive offer to open a credit card at a discounted rate; or send your current clients a thank you email for their partnership with your bank over the years. By nurturing your relationships with additional content, your recipients will feel like they are a part of a community; and one with human to human contact. Email marketing is imperative to a strong marketing strategy. It can be used to establish a connection with prospects, build on the relationships with exisiting clients, showcase your brand’s personality, and drive viewers to a desired action. With these growth factors at stake, it’s crucial to humanize your emails to keep users engaged and keep users top of mind. By sending emails from individuals, using personalization tokens, segmenting your distribution list, and diversifying your content, you will keep the human element in your communication. By emailing in a less robotic style, you will inspire your leads, prospects and clients to tune into your emails and build an authentic relationship with your brand. What have you done to humanize your bank's emails? Let us know on LinkedIn!